Paphos Old Town has been regenerated. Come and explore the New Old Town! From a map of Old Town, pick your starting location, then wander the streets virtually. This is great if you just fancy a general stroll around Old Town. Using the Old Town Showcase, locate the shop, restaurant or point of interest you are interested in, and begin your tour from there. As well as the tour and the showcase, we have directories of shops and restaurants in Old Town Paphos. If you are looking for a specific place and aren't fussed about seeing the tour, then use these to find your location. This is especially handy if you are out and about and your mobile phone can't handle the bandwidth of the full tour. You access the directories using the menu at the top of the page. 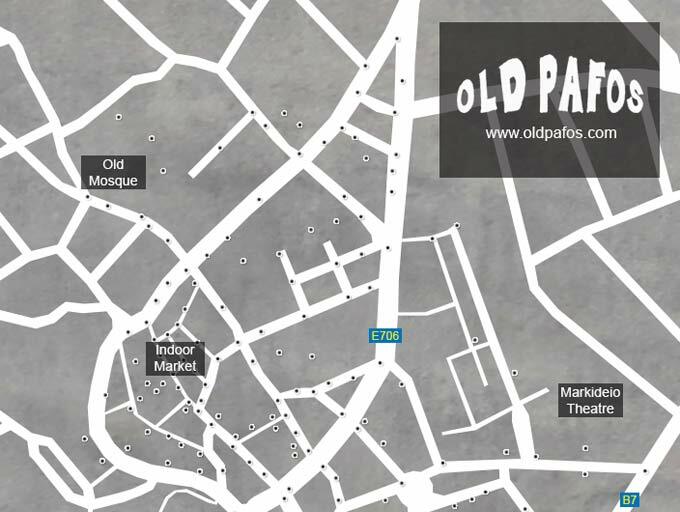 Please remember that OldPafos.com is a new site, so not every shop or restaurant will be listed yet. We are adding new businesses every day. If your business isn't yet included then get in touch! A Greek language version of this site will also soon be available. When you are in the tour, you can navigate on a PC using the mouse or keyboard (W, A, S or D). On a tablet you drag the image the way you want to go. When you see one of the icons below, you can move between images. Do remember though, that one of the charms of Old Town is that it is a maze of twisty little streets, so don't be surprised if you find yourself walking around in circles for a while, before you get your bearings! If you get really stuck, and can't find an area map, just click on one of the main menu links at the top of the page. They will bring you back to the start. Finally, if you have a business in Old Town, and want it to feature a bit more prominently in the tour, click the button below! 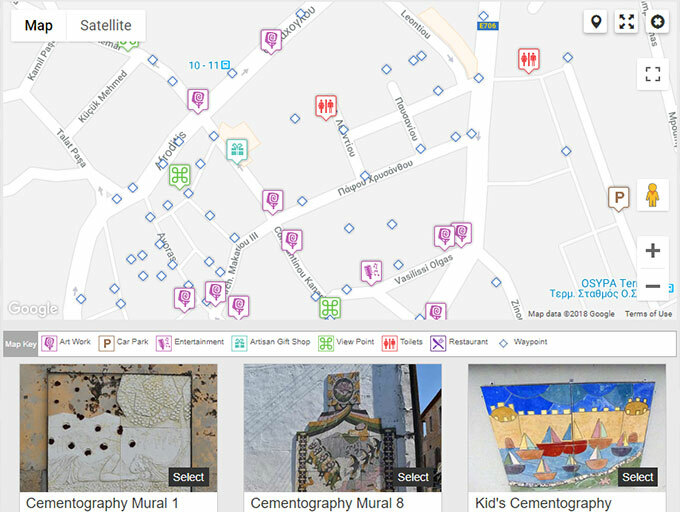 At OldPafos.com our goal is to show you how beautiful and interesting the Old Town of Paphos is, through a combination of 360° panoramas and regular photography.